Chris heads the Family Law team at Clarke Willmott, Manchester following joining them as Partner in January 2018. He regularly deals with the issues that arise for an individual following the breakdown of a relationship, in relation to divorce/civil partnership dissolution, their financial affairs and their children. Chris provides advice on complex financial cases; often involving business interests, trusts, foreign assets and pensions. He has extensive experience in a wide range of disputes involving children and also advises unmarried couples in relation to separation and cohabitation issues. He has particular experience of cases where disputes arise about inherited wealth and assets acquired pre-marriage, the value of businesses and the tracing of ‘hidden’ or overseas assets. He is also well placed to advise the benefits of marital agreements such as pre-nups, post-marital agreements as well as cohabitation agreements in order for individuals to plan and manage their wealth. Chris offers a personal and tailored service to meet an individual’s specific needs, listen to their objectives and provide an excellent level of service with the warmth and respect delicate issues require, ensuring that they understand each and every step taken. Testament to this is the fact that the majority of his work is generated through recommendations by previous clients and professional contacts. Chris is a member of Resolution. He is also a regular “go-to” expert commentator on divorce and separation matters. His comments and legal insights from a divorce perspective on the recent Ashley Madison data breach were covered in a number of national media – including primetime BBC News and Sky News. Chris recently advised in the preparation of a pre-nuptial agreement where the assets stood at c£350M. He often prepares marital and cohabitation agreements and actively promotes their importance in modern life. 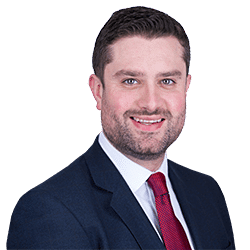 Chris recently acted in a 17 day final hearing in private law child proceedings which included serious and complex allegations as well as allegations of abduction as well as dealing with the surrounding issues of press involvement. He regularly advises on issues regarding business assets and their protection on divorce. He recently acted in a complex pension issue following an overseas divorce for a US based client. Chris regularly deals with pension issues on divorce including public service pensions. Chris acted in the division of assets on divorce for a client which included a significant brain injury award. Chris also acts in matters that are agreed between the parties in advance and is happy to discuss fixed fee packages tailored to suit needs.